"Don't be put off by the pale purple homepage. "Rough Guide to His Dark Materials. This is where my articles and stories live. Many of them consist of fan fiction set in the worlds of Philip Pullman's trilogy His Dark Materials but there are a lot of original fiction and articles here as well. Most of my fan fiction stories have been published on Fanfiction.net where you can read and review them if you like. Here is my LiveJournal. You can email me here. This is the definitive Ceres Wunderkind Internet resource! Eleven talented writers and artists have joined together to create THE LAST POST, a fully illustrated anthology of new and original short fiction linked by an intriguing question – what does the Last Post mean to you? Their answers will surprise and delight. This is a collection of astonishing variety and imagination. Don’t miss THE LAST POST! Alison Leslie has a happy life, but it is haunted and she is watched. What is the meaning of the haunting, and why must she continue to be observed? Ten years ago I wrote The History Tutor and published it on fanfiction.net. Here's its ever-so-belated sequel. 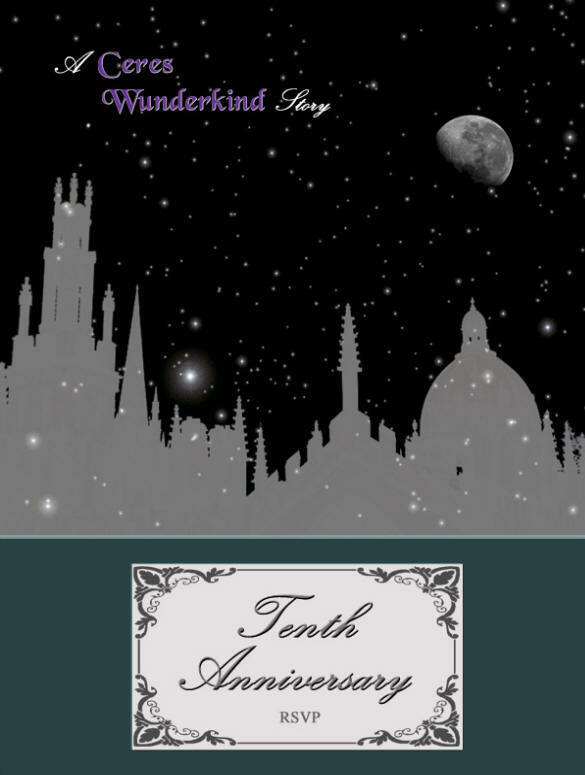 You can purchase Tenth Anniversary for your Kindle here. I'm delighted to announce the release of my first collection of short stories on the Amazon Kindle platform: THE BOY and other tales of the supernatural. In turn funny and serious, fearful and comforting, these are tales of the borderland – of the school where the magic of the elder powers of the Vale of White Horse is never far away, of the white witches and their demonic foes, of secret friends who suddenly take physical form, of the gods who are hanging on the phone, waiting for us to call. Peter Kendell conjures up a world that is both everyday and extraordinary in a wide-ranging collection of stories. You may find the door to this world or it may find you. And when the door is opened and you pass through it you will discover… What? Amazon Kindle eBooks can be enjoyed on a variety of devices including BlackBerry, Android, Windows PC and Apple Macintosh, iPhone, iPod Touch and iPad, as well as the revolutionary Kindle e-reader. North American readers can purchase THE BOY here and UK readers should go here. Click here to read Across the Straits of Mercy. "If you cared at all about your readers, Peter, you would be offering to furnish the costs of transportation so we can each go give our significant others a very large, long hug upon finishing this. In other words, thank you for writing and sharing yet another beautiful tale. The pacing of this one was especially good, and even though the outcome was inevitable (I'd been told it was sad, and really what else could have happened), the telling was still suspenseful and deeply involving and... I am in awe." Refugee humanity has fled to Glory, following the devastation of Earth by the Ochre Plague. Forbidden to cross the oceans except by airship, we live on the lands - Horn, Falls, Gold, Edge, Scrape, Bright and the Ringlands of the Archipelago of Grain. Joy to the World It's Christmas on Glory! Castaway of Glory Doctor Cameron Powell awakes to find he's been cast adrift aboard the Board ship LAV El Dorado. What will be his fate, and can he do anything to change it? A Child of Glory Johanna Chen is going to do some good for the people of Stilt Town on the wealthy land of Edge. But will her plans really work out for the best? Listen up, me hearties! Cap'n Annie McLuskie has a tale to tell of rivalry and derring-do. The Guiding Star 'There never was a girl like Annie'. Emmy McLuskie tells the story of his sister's pioneering sea voyages in this sequel to The Tides of Glory. Click here to discover the amazing worlds of Ceres Wunderkind. My stories have won three Sraf Awards. Articles on Philip Pullman, CS Lewis and the Pantalaimon Perplex are here. Many of these articles previously appeared in earlier versions at Bridge To The Stars. Philip Pullman The author's website Bridge to the Stars The leading His Dark Materials fan site. His Dark Materials.Org Another His Dark Materials fan site. Many of these stories contain elements and characters from His Dark Materials, which is a copyright work of Philip Pullman. Other characters and situations are entirely mine. Naturally I make no claim on anything that is the property of Philip Pullman or anyone else. These stories are offered for the enjoyment of readers of His Dark Materials and are not intended for commercial distribution or gain. All rights in my original works are reserved. 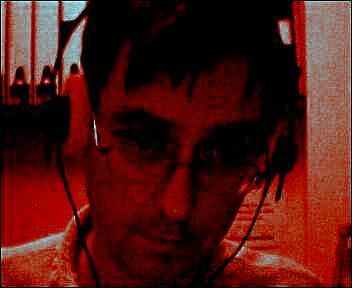 This site and its contents are Copyright © Jopari, Daisy, Ceres Wunderkind and Peter Kendell 2001-2011. The Book of the Wonders of Urth and Sky was created by Gene Wolfe. Kyrillion owns the copyright in her drawings of my characters.